We spend a lot of time telling you about Sightline EDM, so this week we’ll provide an overall description of exactly what it is, what it does, and where it fits into the big picture of the Sightline Software suite. Sightline provides for data collection from a multitude of sources: operating systems, applications,databases, virtualization, and more. Sightline uses a combination of agent-less and agent-based data collection to obtain the most in-depth set of metrics available in the market today. Once collected, performance data is centrally stored at both raw and summarized intervals. Once collected, this data repository can be used for alerting and reporting, capacity planning and forecasting, automated root cause analysis and automated configuration enforcement. Sightline Enterprise Data Manager (EDM) is at the center of the Sightline Software Suite. EDM is a state-of-the-art J2EE application comprised of two components: the Data Collector Service (DCS) and the web-based EDM user interface. Together, these two components provide central control and management for data collection and maintenance, agent configuration/management, alert processing, reporting, a browser-based user interface, and more. EDM provides central administration through a single interface to aggregated information regarding all of the components within your IT infrastructure. EDM gathers Sightline performance data from hundreds or thousands of monitored systems and data sources, using both agent-based and agent-less data collection methods. EDM manages the data repository and archive of performance data. Data archival and summarization is performed automatically as the data is collected, so the data you need is available when you need it, where you need it, and at the granularity required to answer the question at hand. EDM provides Sightline Agent configuration capabilities – configuration and management for all Sightline data collection can be performed from the web-based EDM console. With EDM, you no longer need direct access to the system to update workload definitions, view log files, or even restart the Agent. EDM includes ForSight for automated forecasting. Using ForSight you can perform both scheduled and ad hoc forecasting based on any metric stored in the Sightline data repository. Sightline provides accurate, automated and easy-to-read utilization reports to document current usage and requirements; with Sightline ForSight, you can forecast future requirements based on current utilization. Informed decisions can be made without relying on information from others. EDM lets users extrapolate current usage rates and predict future performance and capacity issues before they occur. EDM simplifies reporting and visualization of system information, with browser-based display enabling the dissemination of data to users regardless of physical location. EDM provides the most robust reporting capabilities available from a performance management solution today. Reports can be customized by user, and can be automated to run at the user’s convenience. EDM’s advanced alerting capability allows management tos et complex rules alerting to potential system issues before actual system outages occur. As data is collected, user-configured alerts are evaluated, andpredetermined actions are taken. Send an email, execute a command, or send anSNMP trap to a third-party framework. Alerts are tracked and their status is available both during and after the threshold violation occurs. You can send an email or SNMP trap when any active alert has been cleared,providing an extra layer of convenience and tracking to your system administrators. EDM’s correlation engine compares the behavior of your target metric to all the other metrics on the system, and all the metrics on any other monitored systems. Similar behavior is detected regardless of the units or scale of the other metrics, and the time range can be shifted to allow for possible delays in the appearance cause-and-effect relationship between systems. EDM includes Clairvor,Sightline’s automated root cause analysis engine. Clairvor helps analyze issues in minutes across the environment by providing automated correlation and reporting capabilities when configured threshold values are exceeded. When an application is using several different resources across multiple platforms, it can take hours or days to analyze problems. WithClairvor, once an alert is triggered the correct team can be notified immediately and be provided with a report showing where problem might be. This keeps your business running smoothly and saves money by preventing outages and downtime. 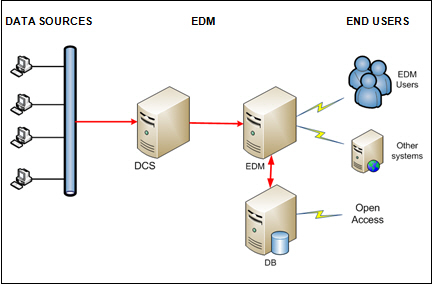 EDM includes ACE, for Automated Configuration Enforcement. With ACE, you can be sure that IT best practices are beingfollowed, ensuring the hardening of your systems and protecting against unwanted threats. Sightline ACE offers continuous monitoring to detect, audit and alert on everything in your IT environment so you can ensure that you are doing everything you can to protect yourself. ACE includes over 7000 policyrules including standards from DISA, NIST, SOX, HIPAA and others. ACE lets you ensure the configuration of your OS instances remains consistent and be alerted to changes. ACE provides direct access to change information from the Sightline dashboard and Clairvor to accelerate root cause analysis and problem resolution. The Sightline interface is mobile. The Sightline solution is web-based; using Sightline on a laptop, tablet or Smartphone, users can monitor the environment. Alerts can be sent via email or text so that they can be viewed on your smartphone. Users can access the Sightline dashboard and reports to diagnosis problems from afar and create solutions for on-site personnel, so that issues are addressed proactively. In today’s work place it is critical to maintain the flexibility to ensure employees have the capability to work from anywhere. ♦ Ease of Use – the Sightline solution provides a single console component to manage a mixed installation of disparate hardware types, while still providing a unified and consistent view of each system. As a result, users only need to learn to use a single tool, and the organization can preserve hard and soft IT investments as hardware configurations evolve. ♦ Low Overhead – the Sightline data collection has a small footprint, while delivering an unparalleled depth of data. With Sightline, data is collected once and stored in a central repository to meet multiple needs, including performance measurement reporting, problem detection and analysis, trending and capacity planning. ♦ Ease Regulatory Compliance – implementing Sightline ACE helps organizations to meet a number of industry and government regulations regarding system configuration and security by providing continuous configuration monitoring. ♦ Improved Business Efficiency – the Sightline solution provides productivity improvements for business managers and the IT department by automating performance monitoring and capacity planning processes. ♦ Flexibility – Sightline offers the capabilities of a large corporation while retaining the flexibility of a small business. Sightline develops and maintains the Sightline software and is quick to adapt to customers’ needs and develop new features based on customer request. Why Sightline? Providing your team with a tool that can alert, report, correlate and plan across the entire environment is imperative in today’s ever changing IT landscape. Why implement multiple tools that all do the same thing? 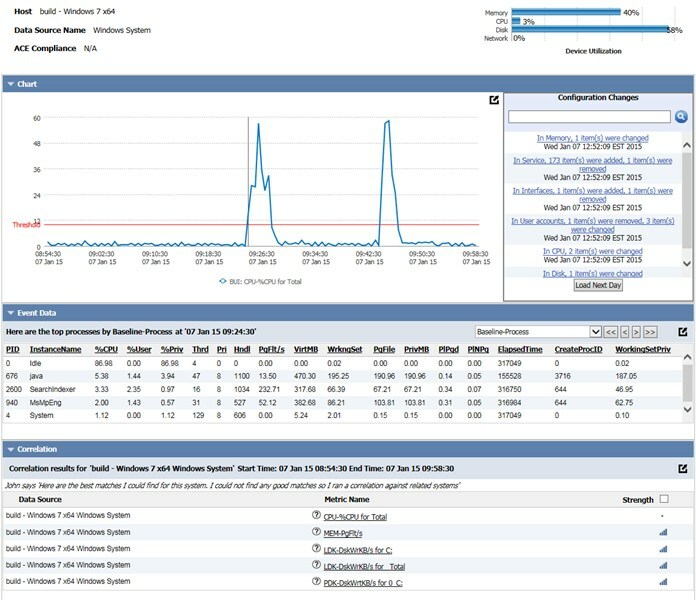 Use the most trusted name in Performance Monitoring and Capacity Planning – Sightline.